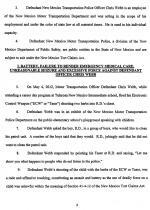 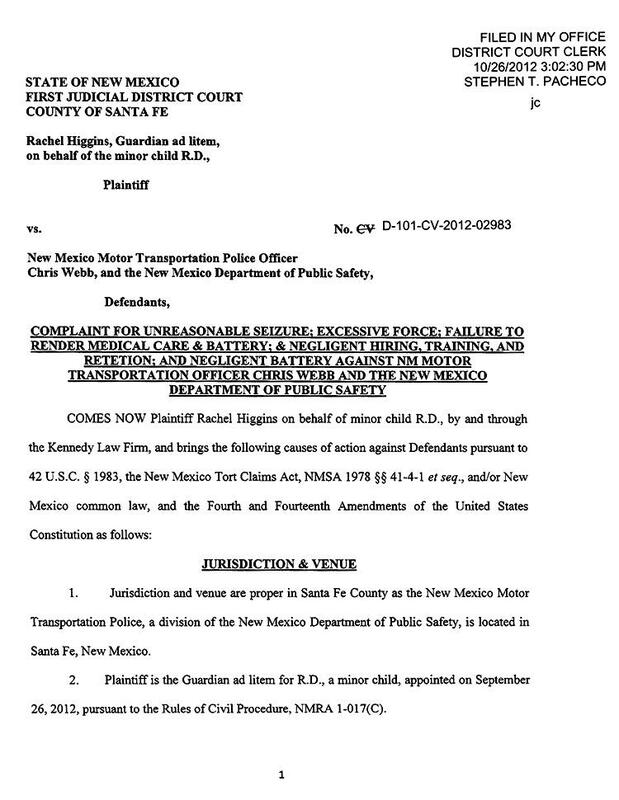 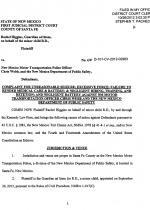 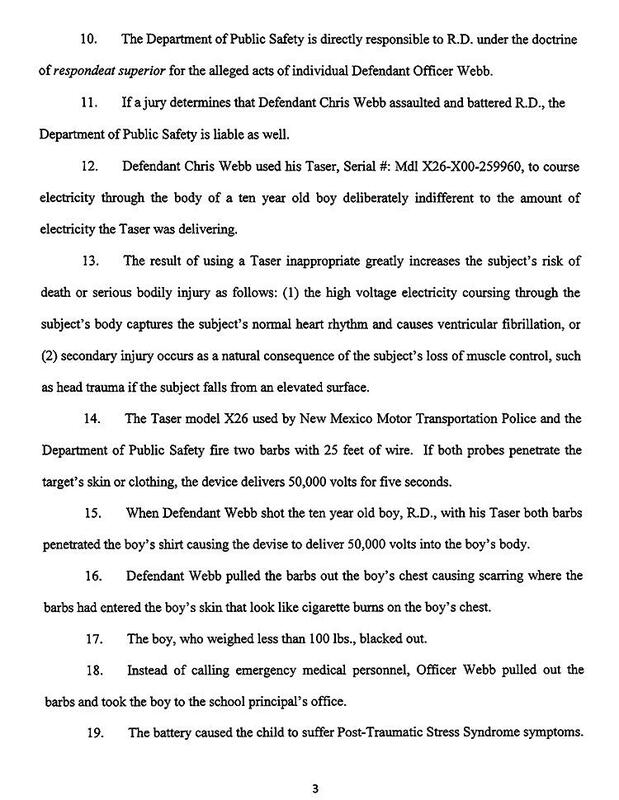 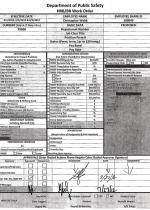 OCTOBER 30--A New Mexico cop shot a 10-year-old student in the chest with a 50,000-volt taser gun during a “career day” visit to the boy’s school, an accident that resulted in the officer’s brief suspension and recently triggered a civil lawsuit, records show. 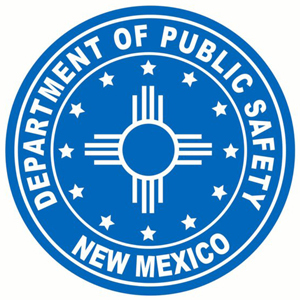 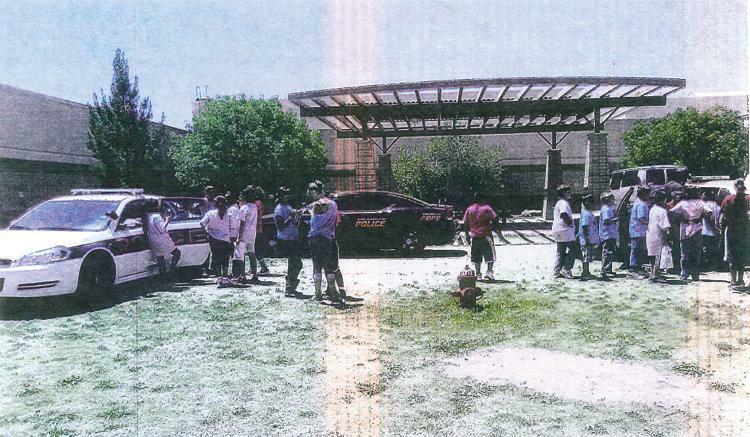 The child was hit with the taser probes during a demonstration earlier this year at Tularosa Elementary School, where Officer Christopher Webb spoke to groups of students in the school playground about gun and taser safety. 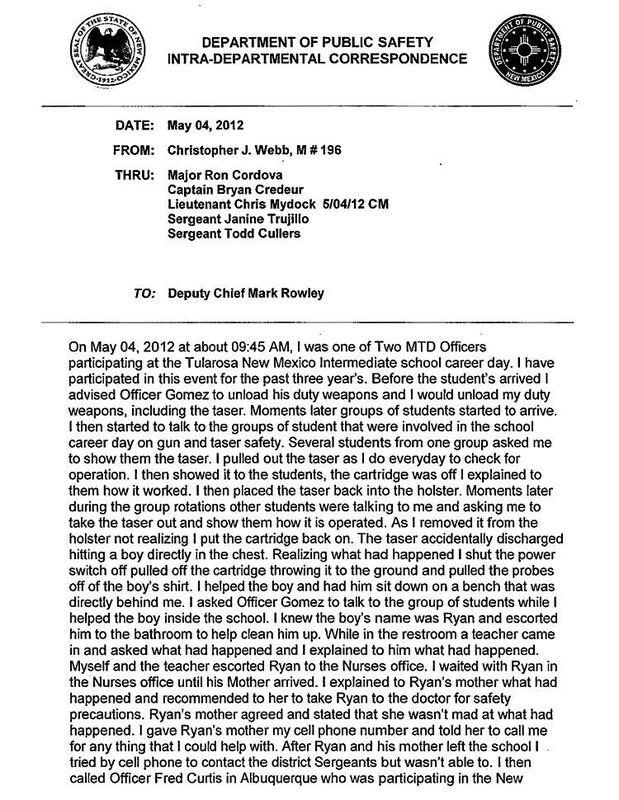 While Webb claimed the taser “accidentally discharged,” the victim’s lawyers charge that the cop was recklessly joking around with students when the boy was struck with two electrified barbs. 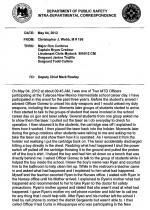 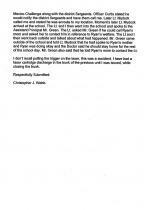 Webb reportedly asked a group of students who would like to clean his patrol unit. 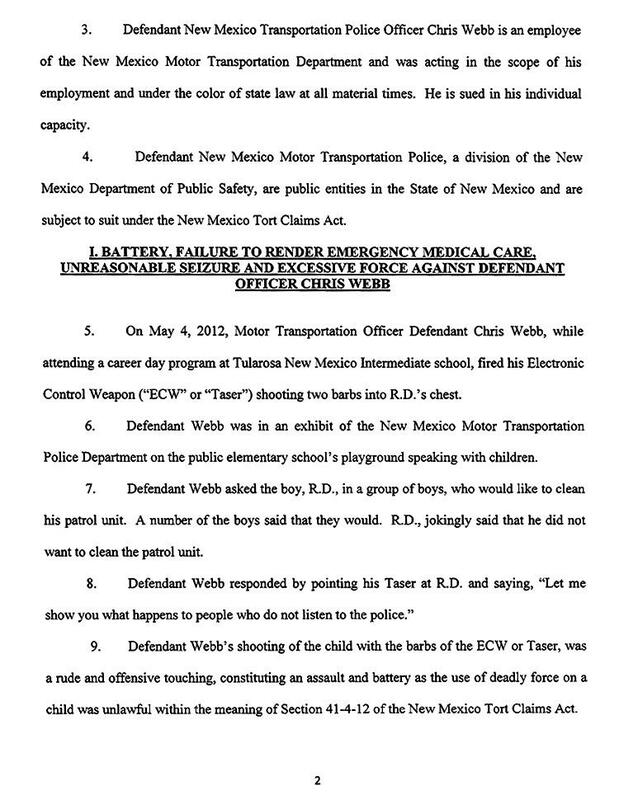 While a group of boys said they would, the victim--identified as “R.D.” by his lawyers--“jokingly said that he did not want to clean the patrol unit,” according to a Santa Fe District Court lawsuit. 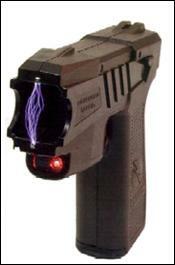 In response, Webb allegedly pointed his taser at the boy and said, “Let me show you what happens to people who do not listen to the police.” The 44-year-old cop then fired his Taser X26 model. 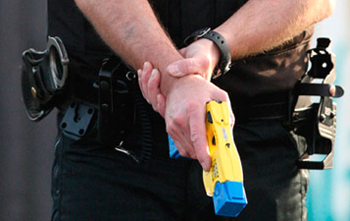 The five-second jolt from the weapon knocked the boy to the ground, where he blacked out. 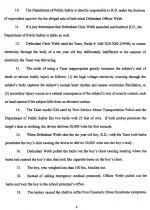 The child was left with scars resembling cigarette burns on his chest, according to the lawsuit. 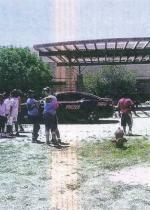 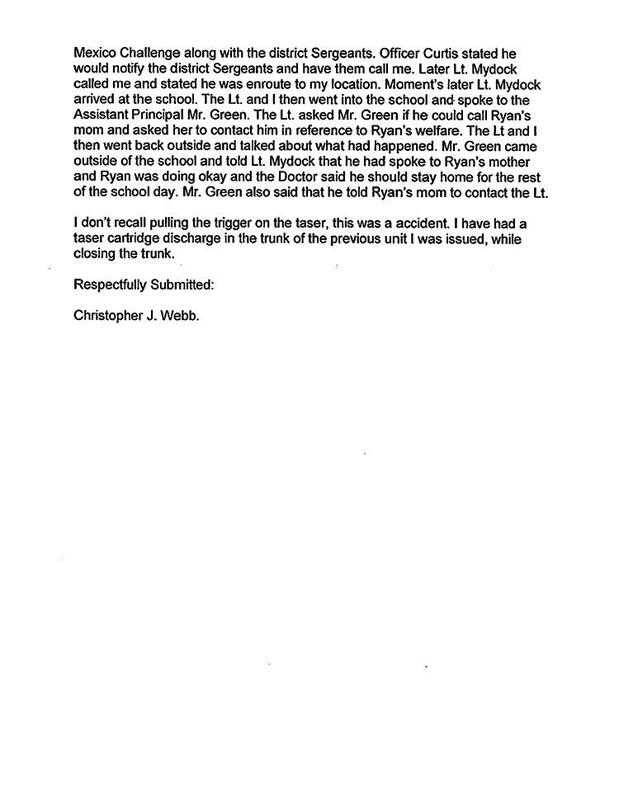 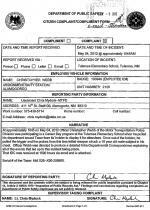 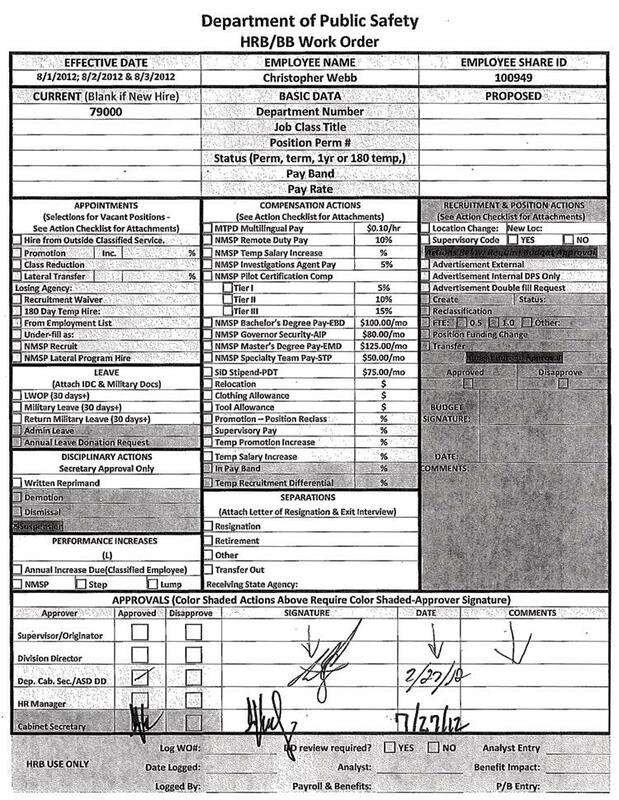 The mishap at the May 4 career day (a photo from which can be seen here) resulted in a three-day suspension for Webb, according to a DPS report. 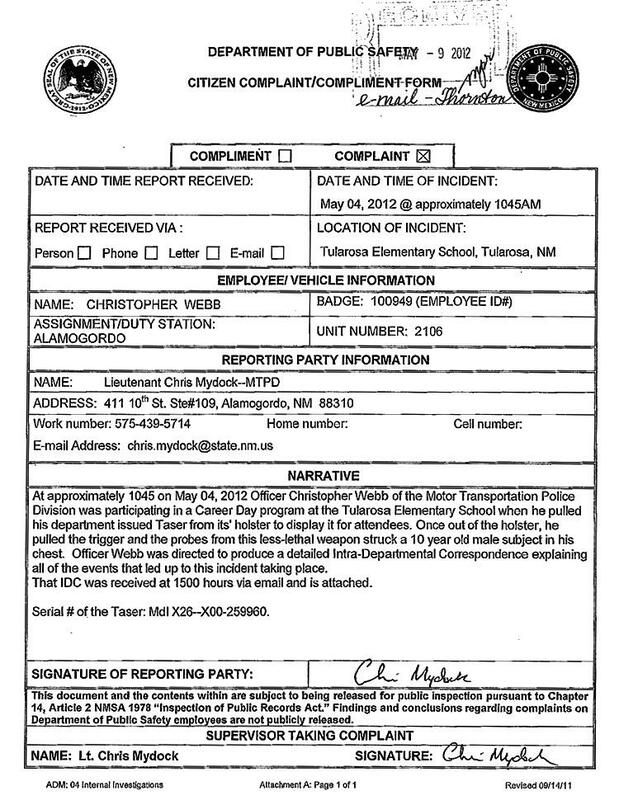 The tasering also has prompted a civil complaint accusing Webb and DPS of battery, negligence, and failure to render medical care (among other claims). 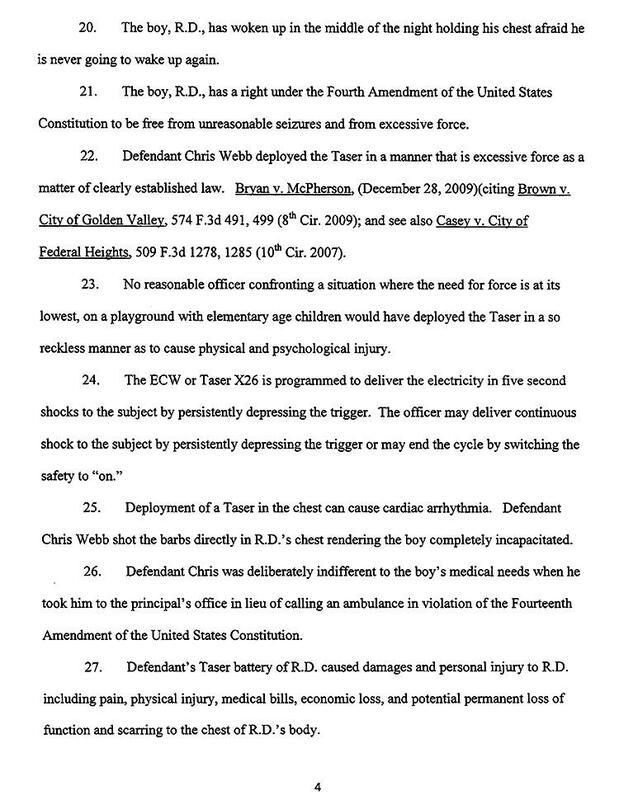 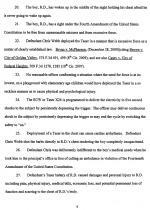 The October 26 lawsuit notes that the boy could have suffered “death or serious bodily injury” from the tasering.